MoodleMoot UK & Ireland 2018 in Glasgow was the place to be, if you asked yourself like I did: “What will be the future of the Learning Management System (LMS) called Moodle?”. In fact, from the 26th to the 28th of March 2018, the Moodle Headquarters organized a conference dedicated to Moodle Partners (companies offering Moodle services such as Liip), as well as developers and administrators of the very popular open source course management system. That was a great opportunity to meet all these stakeholders and learn about the actual trends of this LMS. The program begins with the announcement of a $6 million investment from the company Education for the Many. Moodle HQ will make use of this funding to improve consistency and sustainability, to build a new European Headquarter in Barcelona and to improve its didactic approach. Martin Dougiamas, founder and CEO of the Moodle HQ, opens the conference with an inspiring keynote about the goals for the near future. Reminding the mission – empowering educators to improve our world – he articulates the vision of the company. “Education is maybe the only weapon that can make a difference, as we need responsible persons to face the current issues of our world”. This turning point requires financial support. Education for the Many, an investment company of the French-based Leclercq family involved in well-known businesses such as Decathlon sporting goods, understands the challenges that Moodle is facing. They are not focused only on the return on investment but they also care about the educational vision. For the time and money invested, Education for the Many receives a minor stake in Moodle HQ and a seat on the board. “It’s time to make Moodle amazing!”, continued Martin. One of the benefits for Europeans will be the growth of the Moodle office in Barcelona. It should expand to become like the headquarters in Perth. Therefore, Barcelona will turn into the European Moodle HQ. As most Moodle users are located in Europe, being close to them is an advantage. The Moodle product is and should always remain competitive. Ensuring this is one of the pillars of the new strategy. With this goal in mind, the future Moodle 3.6+ versions will be designed to achieve sustainability at a high level. Furthermore, they will concentrate on improving the usability, creating standards, enhancing system integrations as well as being supported across all devices. One of the big challenges as a teacher is to keep participants engaged during the learning process. To support this, Moodle HQ is developing a special certification for Moodle Partners, so they can deepen their software knowledge and get up-to-date on the best practices for online content creation. 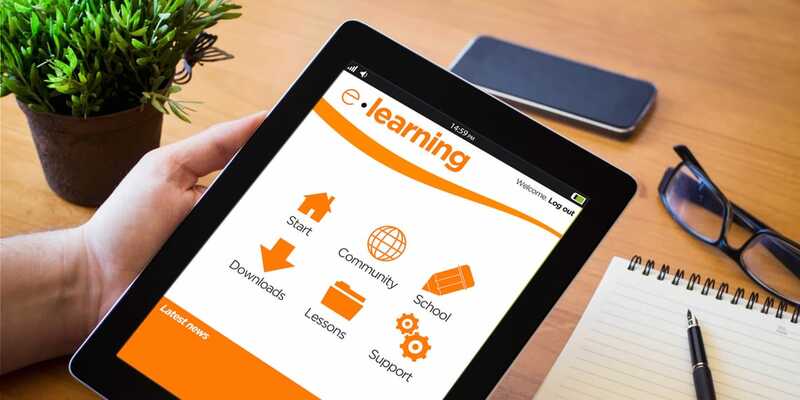 Through official Moodle Partners, teachers can access the same education platforms. This is how the Learn Moodle platform aims to significantly improve the quality of teaching. Moreover, effort will be invested to maximize connections inside the community of users and administrators, in order to build a big and strong userbase through the moodle.net association. This platform will support the creation of educative content as well as sharing and offering services. Every Moodler is welcome to take part in this project. To summarize, I came back from the conference more confident than ever about Moodle's potential, empowered as a Moodle Partner, and impatient to bring Moodle's capabilities to our customers.